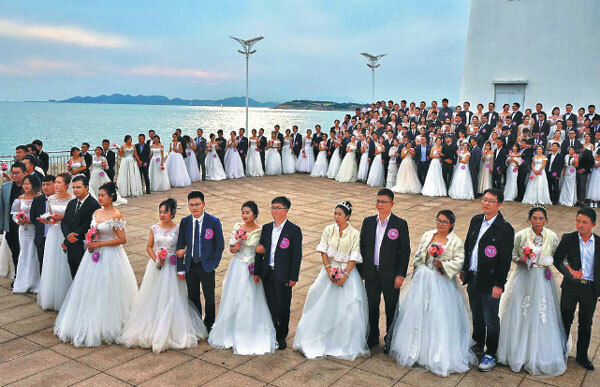 Hosted by Qingdao's tourism development committee, the Shinan district government, Qingdao Tourist Group and the Qingdao association for its wedding industry, the event was held at the city's landmark Olympic Sailing Center. The event this year emphasized driving the development of Qingdao's fashion economy and popularizing the coastal city as an ideal destination for weddings. Qingdao's Shinan district, renowned for its beautiful bays and coastline, scenic areas and extravagant architecture, attracts thousands of tourists each year. In recent years, leveraging its fashion economy and tourism industry, the government of Shinan district has been devoted to strengthening its wedding industry brand and improving the quality of its wedding services in the hope of attracting customers from home and abroad. 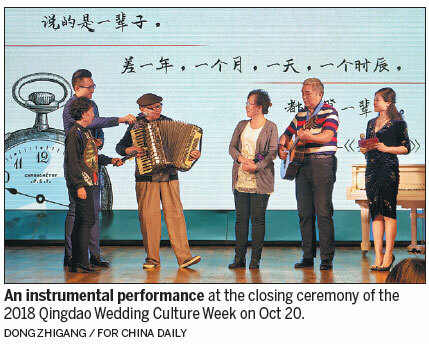 The 2018 Qingdao Wedding Industry Summit Dialogue was held on the afternoon of Oct 16, and attracted international wedding industry experts including famous photographers - Rocco Ancora and Roger Tan - as well as top Chinese banquet designers Cai Shang and wedding planning company CEO Han Shuo. 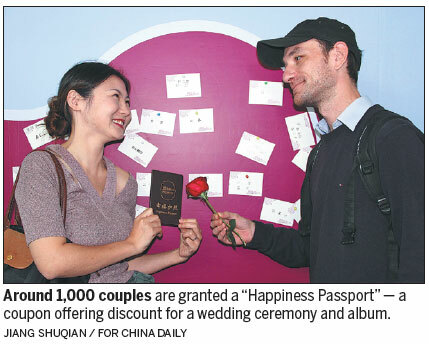 The experts shared their thoughts on the current trends in wedding photography and wedding design, as well as their suggestions for the future of Qingdao's wedding industry. According to organizers, Shinan district will harness the momentum gained from the event to promote deeper integration of its wedding tourism industry and fashion economy from an international perspective. It will also introduce a number of internationally and domestically renowned enterprises, institutions and professionals in the relative industries. The event also featured a catwalk show for high-end international wedding dress brands, a folk wedding customs exhibition, and a fashion show with 99 couples taking part, as well as matchmaking and dating activities.